Aoshima in Ehime is one famous cat island in Japan, beside Tahirojima island. 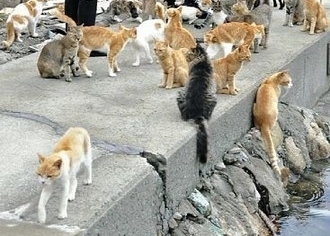 Cat Island in Japan becoming popular. Onegai Kaeru team sees more people online talking about cat islands and also many online/offline news paper also featuring about it. We still do not see much practical information for those who want to visit the islands. Thus we decided to provide some practical info on two cat islands, how to get these islands and what the cat island local says about the visitors. Also, there are several "cat islands" in Japan, other than these two. Please refer to our latest cat island list in Japan (updated from time to time). Aoshima island ( 青島 ), Ozu-city, Ehime, is "cat island". Located 13.5 km away from Nagahama port. Due to the internet hype the island becomes one of the popular destinations for the cat lovers. In 1942 there were 889 people recorded. 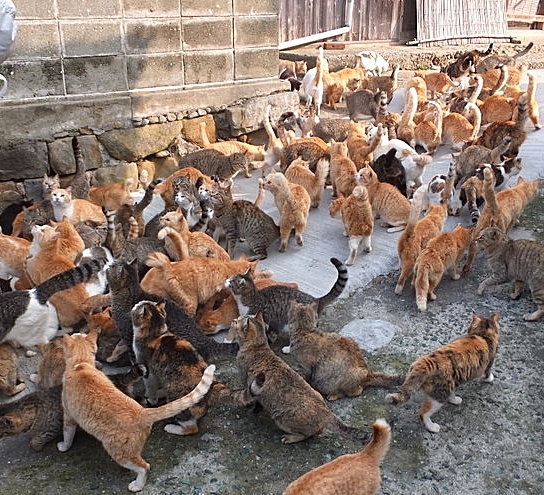 The island has 15 people( age between 50-80 years old) and more than 100 cats. There is neither inn, restaurant nor vending machine( as of Oct, 2013). During WWII, many people escaped to the island from the main land. The island population hit the highest 655 people in 1960. There have not been enough job so many people left the island. On 1976 the island's only one primary school shut down. Early 2000 the cat population started to grow while the human population hit then new low, 50. Today you only see 15 people( 4 fishermen and the rest retirees) on the island. 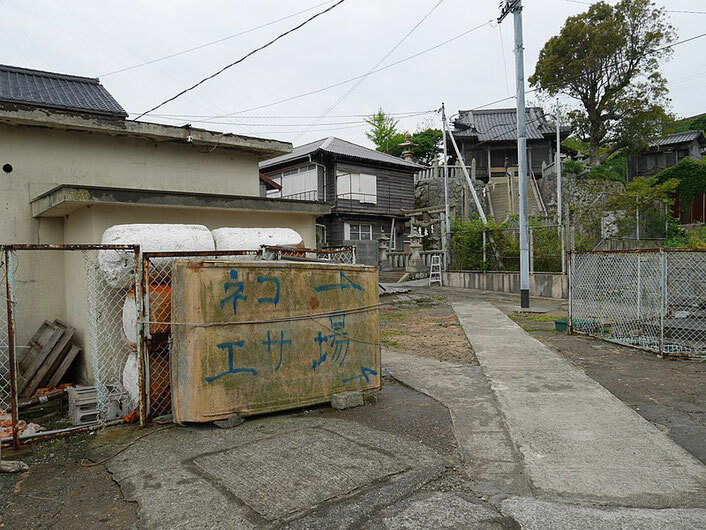 There is no car or even a bike so no real threat to cat and there are many abandoned houses where cats can live peacefully. 1976 saw the last school close on this island. So how to get Aoshima? For Aoshima, Ehime, (35 min) boat trip 2 times a day from Nagahama Port, Ehime pref. To get Nagahama port, get off at JR Iyonagahama station and walk. There are Nagahama ports in Shiga pref and Kagoshima pref also, be careful not to confuse. After the media reported about this island, it has become hard to get the ticket. We learnt that the ticket is sometimes sold out even 3 hours before the departure. The boats may be cancelled. For details, here is the telephone number of the Port +81 893-52-2700. Can you take a fisherman boat? Because the official boat above is very popular there are many tourists who could not take the boat even they reached the port. There are some people who pay the fisher men to let them board their boat to travel to Aoshima. The local authority warms it is NOT legal to take a fisher man's boat to reach Aoshima. You need to take the boat above. Bring something to eat and drink, umbrella and some plastic bags to bring back the garbage at least. In case of Aoshima, there is neither shop nor vending machine. It is common that the ship is canceled due to the high tide etc. from November till March( autumn and winter). Thus, you need to be very positive-minded enough not to be disappointed to find your ship is canceled after you travel all the way in the cold morning. If you stay in Matsuyama, not recommended to travel from there to the port in the morning. It is 1.5hour train trip to the port from Matsuyama, considering the risk of cancellation, good to stay in some place near the port( some list of the hotel and inn here) one day before the trip to the island and stay there for a couple of days to test your luck to get the ship. 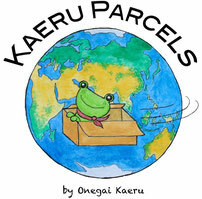 Many of Onegai Kaeru team friends and thousands of tourists visiting these islands. What do local say about the visitor? Some are happy but some are not happy. 5. Do not feed the cats too much, or the cats get sick (we do not want that, right?). If you brought too much food for cats, you can leave it in the cat food containers in front of the community center and at the waiting room for the ship. 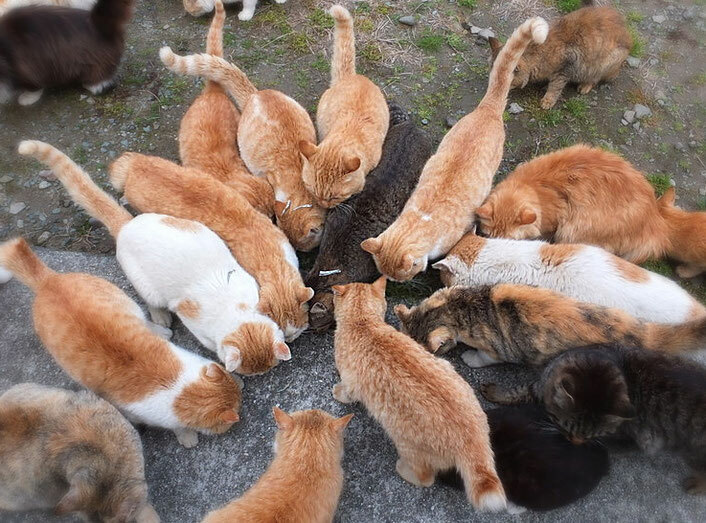 This is where visitors are allowed to feed the cats on Aoshima island. Now you know how to get these islands. Not so easy sometimes, right? Then the next question is...where should you stay on your journey to these Cat Islands? We featured several options and places to stay in our separate articles: For Aoshima: You want to find out where you can stay over night on your trip to Aoshima? Find out here! Are you looking for an unique tour in Japan? Talk to us. We have a great group of private tour guides all around the Japan to offer you the custom made tour!